In all immodesty, I’m something of an expert on the subject of fathers. I come from a long line of fathers. My father was a father. So were my grandfathers on both sides of my family. In fact, according to my genealogical research, my family has had a long history of fathers dating back to my Great Great Great Great Grandpappy Adam. Yep, being a father is a kind of tradition for the menfolk in my family. I’m proud to say that I’ve carried on the tradition. I’m the proud father of two handsome sons and a beautiful princess. I’m very concerned that we fathers may be going the way of the dinosaur. Over 24 million children in America—that’s one out of every three—live in a fatherless home. Now whenever a father like me expresses concern about “fatherless America,” we are often accused of being just cantankerous old coots that want to take us back to the bad old days of Ward and June Cleaver and Wally and the Beav. Inasmuch as I’m married to a highly successful woman, believe me, I’m not trying to send her back to the kitchen. • Children in father-absent homes are 4 times more likely to be poor. • 63% of youth suicides involve children from fatherless homes. • 90% of all homeless and runaway children are from fatherless homes. • 71% of high school dropouts are from fatherless homes. This is not to indicate that mothers do not do a great job of raising children. But ideally, a mother should not have to raise a family on her own like Lebron James carrying the Cleveland Cavaliers in the NBA playoffs. And the painful truth is that the real victims of fatherless America aren’t our kids, but rather it is men. We men need to be fathers. It may be the most important factor in civilizing us. Left to our own selfish devises, we men tend to be selfish, violent, and sexually promiscuous. But when we agree to share our life and raise children with a companion, we generally tend to shape up. Not always, but generally. So on this father’s day, lets all join in to save the endangered species … fathers! If like me you are blessed to be a father, then be a father, darn it. That means sticking around after conception. How long? Oh, for the rest of the kids’ lives! If you are blessed to have a father, do more this Sunday than give him a tie or a bottle of Old Spice. Hug him, tell him you love him, and tell him he’s important. If you say this to him, it can become a self-fulfilling prophecy. And thank and uphold your brothers and other relatives and neighbors who are fathers. Thank them for doing all the things old-fashioned fathers do, like rocking their babies to sleep at night while singing a deep baritone rendition of Itsy Bitsy Spider. Thank them for teaching their sons how to throw a split-finger fast ball or glide their daughters across the dance floor at the father-daughter dance. Thank them for taking their daughters to their soccer games or Girl Scout meetings. Thank them for spending Christmas Eve helping Santa assemble toys that can only be put together by graduates of the Massachusetts Institute of Technology. Thank them for financing the family pilgrimage to Walt Disney World. And thank them for getting the children out of the house on a Sunday afternoon so that Mama can take a well- deserved nap. 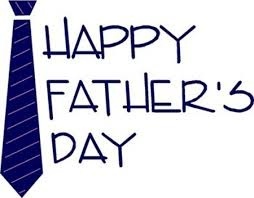 So Happy Father’s Day to a vanishing breed, America’s fathers! May they make a comeback in America’s families! Mark Kaelin: Great Blog! Happy Father's Day.